Rupes LHR 15 MKII vs Rupes LHR 21 MKII – do you know the differences between these two almost identical polishers? Don’t worry, you’re not the first person to wonder which one is the better choice and why. 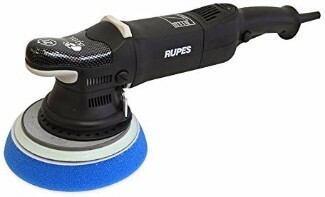 People have been struggling to decide between Rupes long throw polishers since the LHR 15ES and 21ES days. It’s easy to confuse the two when some retailers are even using the same image for both polishers. Is the Rupes LHR15 Mark II right for you? Is the Rupes LHR21 Mark II right for you? The motor on both is rated at 500watt with a min speed of 2500 orbits per minute and a max of 4700 OPM on the LHR21 and 5300 on the LHR15. The body is the same with both having the rounded forward hand hold, rubber tool rest on top, pistol grip, trigger, and trigger lock. The weight is also 7lbs for both models. The LHR15 comes with a 15mm throw (also known as a spindle orbit) and a 5″ backing plate for running 5.5″ and larger pads. The LHR21 comes with a 21mm throw and a 6″ backing plate for running 6.5″ and larger pads. 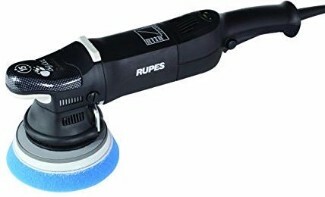 The longer throw on the Rupes LHR21 MKII allows the pad to cover more area with each orbit. It also increases the leverage the motor has on the pad when it’s whipping it around in circles allowing for more powerful polishing of flat surfaces. The larger backing plate on the LHR21 Mark II allows for running larger pads, again to benefit covering more area in less time. It’s not all sunshine and roses though. The longer throw also makes the machine more susceptible to stalling out (stopping the pad from spinning) on tightly curved and angled surfaces. This is where the LHR15 Mark II comes in. As you’ve probably deduced the LHR 15 with it’s 15mm throw and 5″ backing plate gives up a little aggressiveness and area of coverage for more versatility in smaller and more curved / angular areas. It’s true that you can put a 5″ backing plate on the LHR21 and meet in the middle of area of coverage and ability to polish in tighter spaces but you’re talking about adding $20 to a tool that’s already around $30 more expensive. Another thing to consider when putting the smaller backing plate on the LHR21 is that the counter balance in teh motor is designed to run smooth with the 6″ backing plate and accompanying pads. You risk increasing the vibration of the tool. It might not be a meaningful amount but one of the reason’s you’re considering buying a $400 Italian polisher in the first place is how smooth and refined of a tool it is. Rupes polishers have three things going for them that sets them apart from other mainstream polishers. They are Italian made by an actual tool manufacture with years of experience and positive reputation behind them. They are built with impeccable build quality, smoothness, and quietness. They are the corner stone to a full polishing system that includes the Rupes BigFoot polishers, Rupes Pads, and Rupes Compounds and Polishes, all of which were designed to work together. While you can get great results mixing and matching these polishers with your favorite pads and polishes you’ll have the most complete and fool proof experience if you stick with the system. It’s easy to overthink it but it really is as simple as that. My honest opinion is that when in doubt, buy the LHR15 Mark II. Actually there is a difference in the RPM on them. the 15 has a max of 4700 rpm. I think you meant the 21. I pulled up the catalog at http://www.rupes.com/wp-content/uploads/2016/12/9.Z764-16-GB.pdf and sure enough it shows the 21 as 4700rpm. Good catch! What polisher are you running now? Right now I am having a 21 with a 5´backplate. I also discovered that Rupes actually had also incorrect info on their webpage, So I mailed them to correct this as well. Very nice! It’s amazing how much the 5″ backing plate on that 21mm throw really cranks up the correction power. That’s a stout combo for quick work!